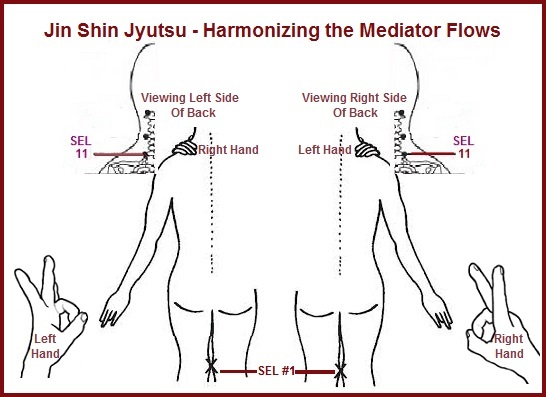 Continuing with Zin Shin Jyutsu® Finger Pose 2, described in The Touch of Healing by Alice Burmeister with Tom Monte, hold the back of the left middle finger lightly with the right thumb. 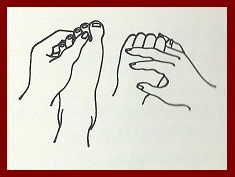 Place the other fingers of the right hand on the palm side of the left middle finger as shown above. 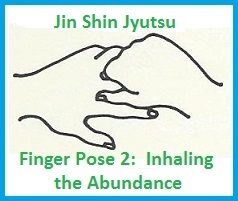 Finger Pose 2 promotes easier Breath of Life inhaling which is our source of abundance. 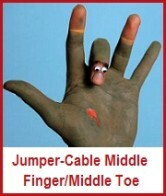 It is optional how long to hold this pose followed by reversing the pose to the right middle finger. 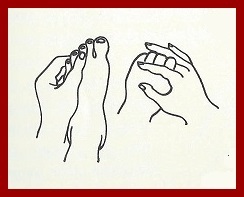 The authors write this mudra pose can be used to alleviate the following mental or physical concerns: 1. I can’t ‘take’ a deep breath. 2. I’m getting hard of hearing. 3. 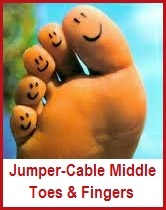 My feet are bothering me. 4. I’m not as alert as I used to be. 5. My eyes are bothering me.